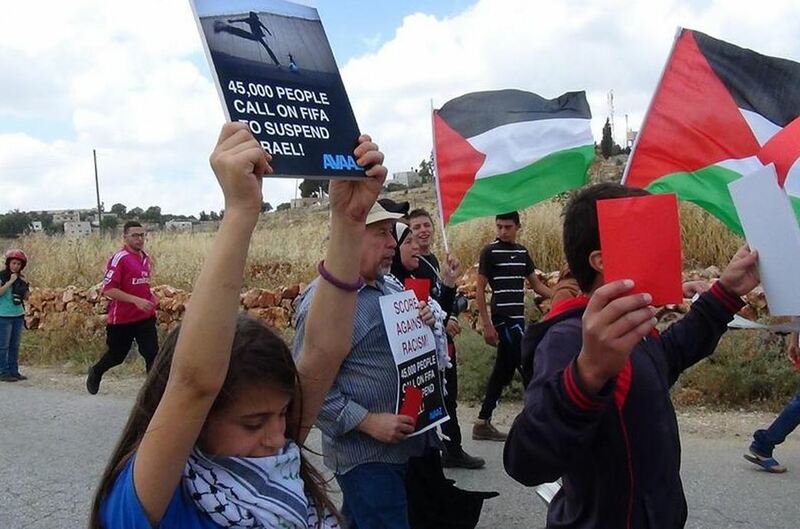 Several Palestinians have been injured, Friday, as dozens of soldiers attacked the weekly nonviolent protest against the Annexation Wall and Settlements, in Nabi Saleh village, northwest of the central West Bank city of Ramallah.Similar to protests in Bil’in nearby village, Kufur Qaddoum near Qalqilia, and other areas in the occupied West Bank, the protesters marched carrying Palestinian flags, and posters, in addition to red cards calling for kicking Israel out of the FIFA due to its ongoing illegal occupation and violations. 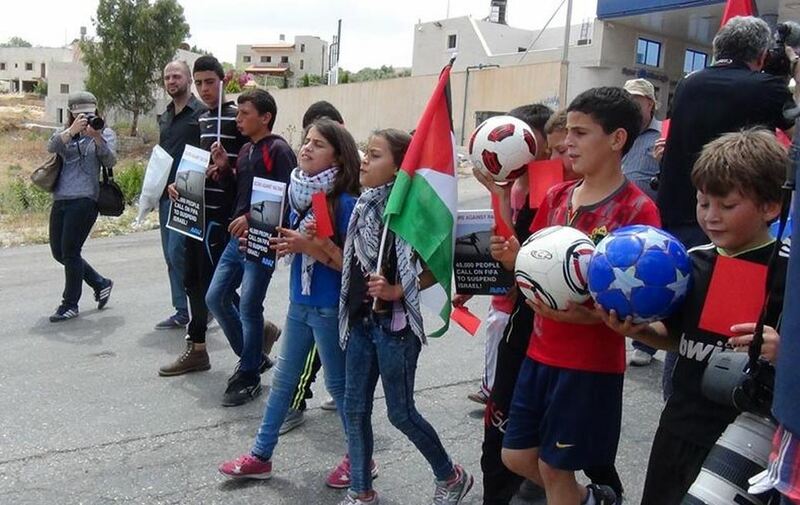 The protesters also conducted a mock football match at the village entrance that was sealed by the army years ago, before the soldiers attacked them by firing dozens of gas bombs and concussion grenades, causing many to suffer the effects of tear gas inhalation. 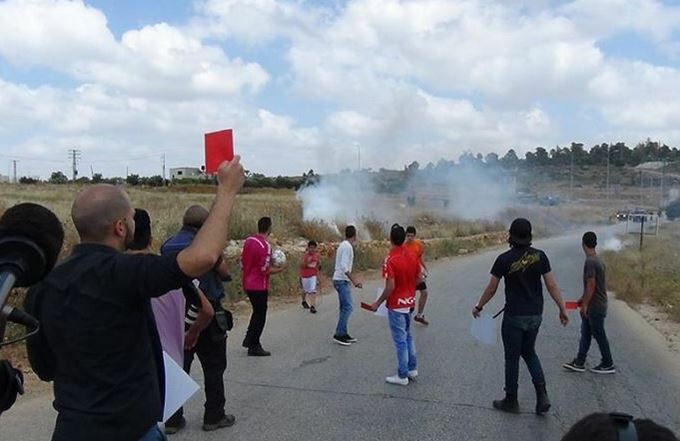 Also on Friday, soldiers assaulted the nonviolent protesters against in the al-Ma’sara village, near Bethlehem, and attacked them with clubs and batons.